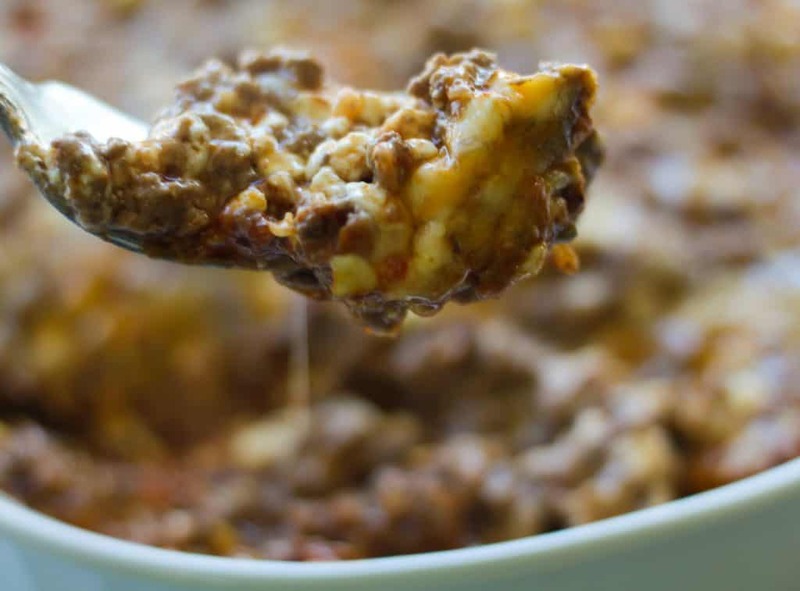 Keto taco casserole is a fantastic variation to standard tacos that includes lots of cheese, tons of flavor, and is so simple to make! I’m going to even admit, I might even prefer this taco casserole over tacos. So much gooey cheesy flavor, it’s just hard to beat. 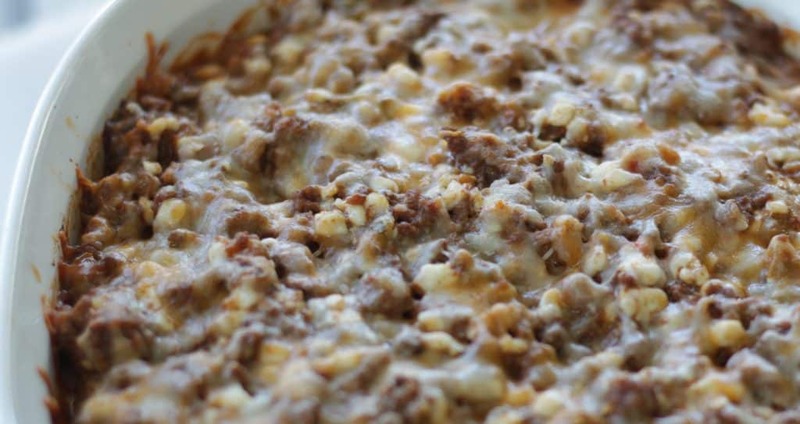 No need to wait until Taco Tuesday, you love this low carb casserole every day of the week. 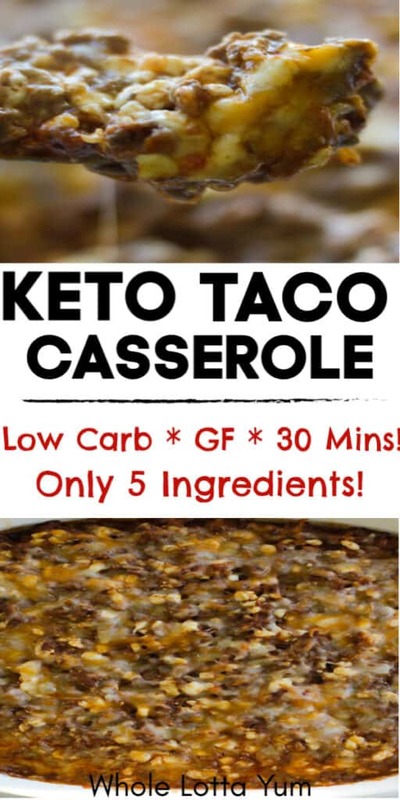 The keto taco casserole is not only low carb, but it’s sugar free and gluten free too. Only 8 net carbs per serving! We also have a popular low carb chicken chili verde casserole if you’re a fan of chicken and green salsa too. You might be surprised this easy casserole only has 5 ingredients, not only is this so simple to make but it also makes a fantastic low cost dinner idea. You might be surprised to see cottage cheese on the ingredient list but it’s actually one of my cooking secret weapons that adds tons of cheesy flavor but helps the dish to still hold it’s shape. 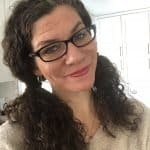 If you’re following a keto diet you need to make sure you’re using the full fat cottage cheese and not low fat. 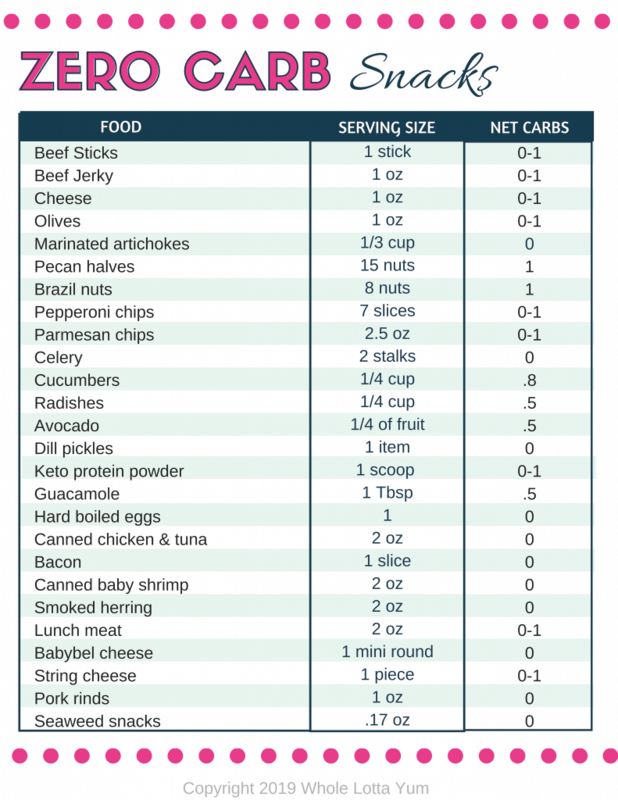 The low fat cheese is higher in carbs than the regular cottage cheese. Some casseroles use cream cheese or sour cream, but then the casserole mixture would turn out more like a hearty dip instead of a simple low carb meal with substance. Not that there’s anything wrong with turning this into a dip by any means! But you wouldn’t typically eat meat dip for dinner by the spoonful. You’ll be so surprised that you can put this low carb casserole together and bake it in only 30-35 minutes! 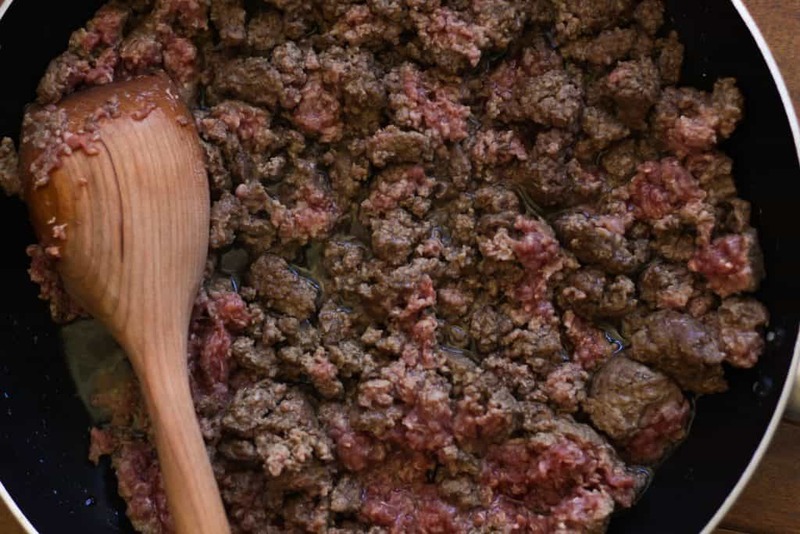 While it’s heating get started on cooking your ground beef (or ground turkey) on medium heat on the stove top. This should take about 7-8 minutes. 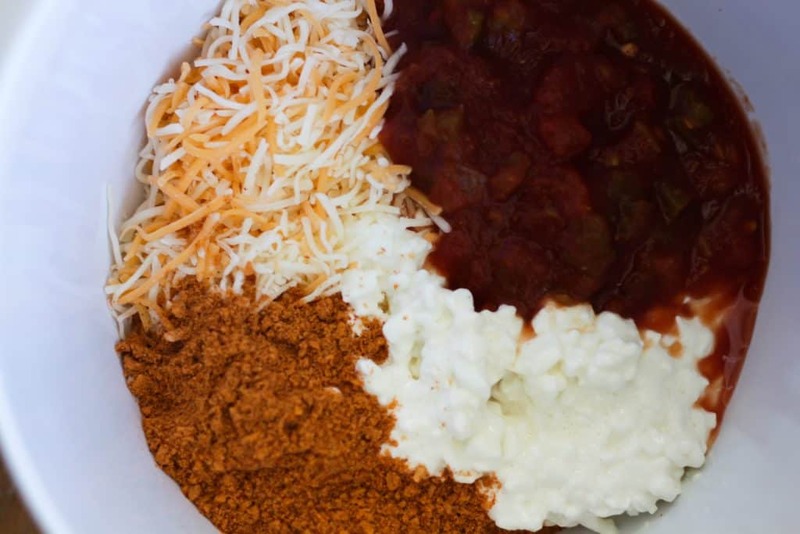 In a medium sized bowl combine the cottage cheese, 1 cup of Mexican blend cheese, the chunky salsa and the taco seasoning. Make sure you’re using a sugar free taco seasoning and sugar free salsa to keep this dish no sugar. Mix the casserole ingredients together. 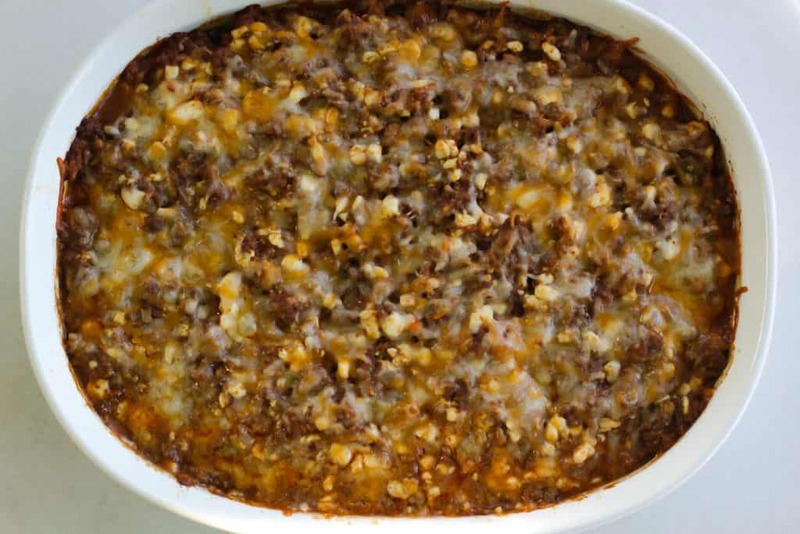 Spray your 7×11 baking pan with non-stick spray or oil and spoon the keto taco casserole mixture into the dish. Top with 3/4 cup of shredded Mexican blend cheese. Bake for 20 minutes on the middle rack until the casserole is heated through. You can also serve the low carb taco casserole on bed of lettuce, with avocado or guacamole, sour cream, chives or olives. 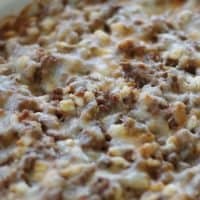 The keto taco casserole is also a great dish to meal prep and take for lunches during the week! It should also freeze well if you want to store it in the freezer to eat later. 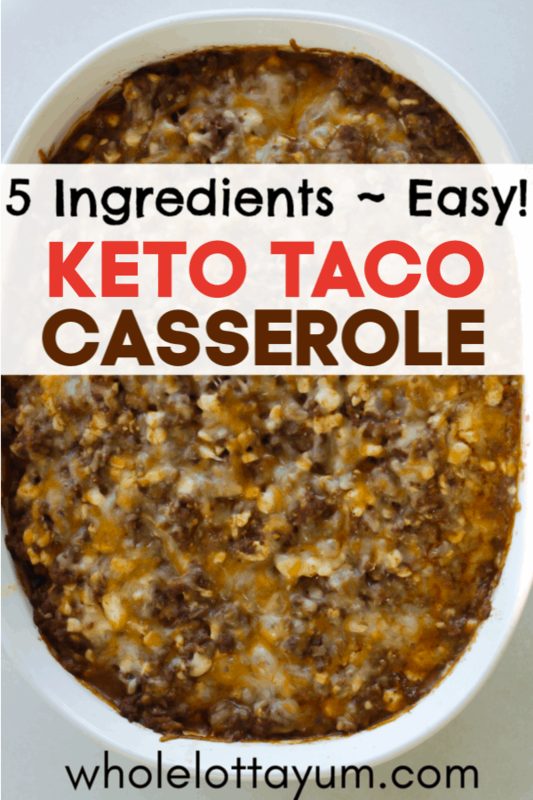 An easy low carb and keto taco casserole that only has 5 ingredients and takes 30-35 minutes to put together and cook! 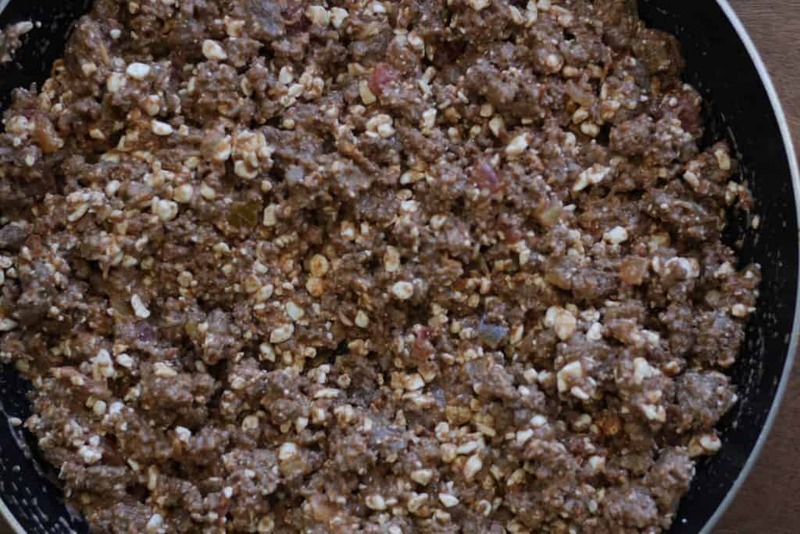 Cook the ground beef on medium heat on the stove top. Drain the grease. 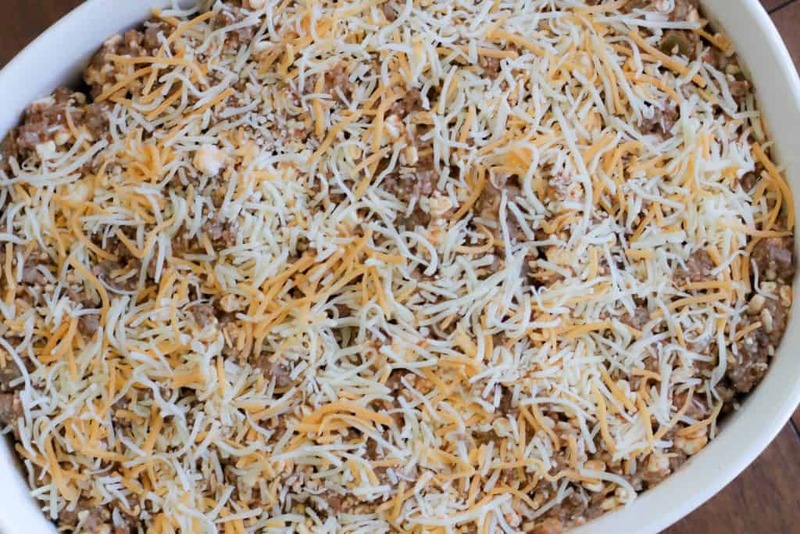 Spray an 7x11 baking pan and add the keto taco casserole mixture to the dish. Sprinkle with the remaining 3/4 cup of shredded cheese. Bake for 20 minutes until the mixture is heated through and the cheese is melted. Nutritional information is given as an estimate, the data provided might vary slightly depending on the exact brands of ingredients you used. We highly suggest using our data as an estimate and to make sure to calculate nutritional info yourself also.